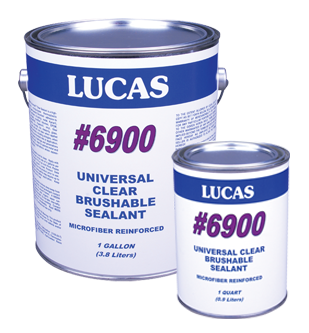 A high-performance, multipurpose terpolymer based sealant. Excellent adhesion to most roof surfaces including: metal, Kynar®, asphalt, shingles, modified bitumen, EPDM, TPO, Elvaloy®/PVC, Hypalon, vinyl, fiber cement, wood, concrete, tile, masonry and glass. Will not stain when applied over asphalt products, including shingles, when applied at the recommended rate of application. Ideal for residential and commercial roof repair.